ND State Fair 2013: I went to Marketplace Liquor and purchased Fargo Brewing's beer for the first time. I was a hop head so I decided to try their IPA, AKA Woodchipper. Well, I wasn't a fan so ever since, I've never really ever sampled their beer ever again.. until today! Today I'm checking out their Stone's Throw Scottish Ale. According to the brewery:"Stone’s Throw is dark, complex, and smooth. It is very approachable for those new to craft beer, satisfy serious veterans. The aroma hints of toasted breadcrumbs, caramel, and dried fruits. The flavor is dominated by caramel toffee, toasty malt, hints of cocoa, honey sweetness." Appearance: Rich burnt caramel with a bit of a ruby red hue to it, light carbonation, and a light amount of beige head near the rim of the glass. Aroma: Notes of caramel.. a lot of caramel, reminiscent of your typical Scottish Ale - full on sweetness. Theres's also a light earthy peat profile, fig, and a light yet sweet bread presence at the end. This would work well for a banana bread. Taste: I'm getting a very sweet caramel profile with a moderate dark fruit profile popping up (likely fig/etc). 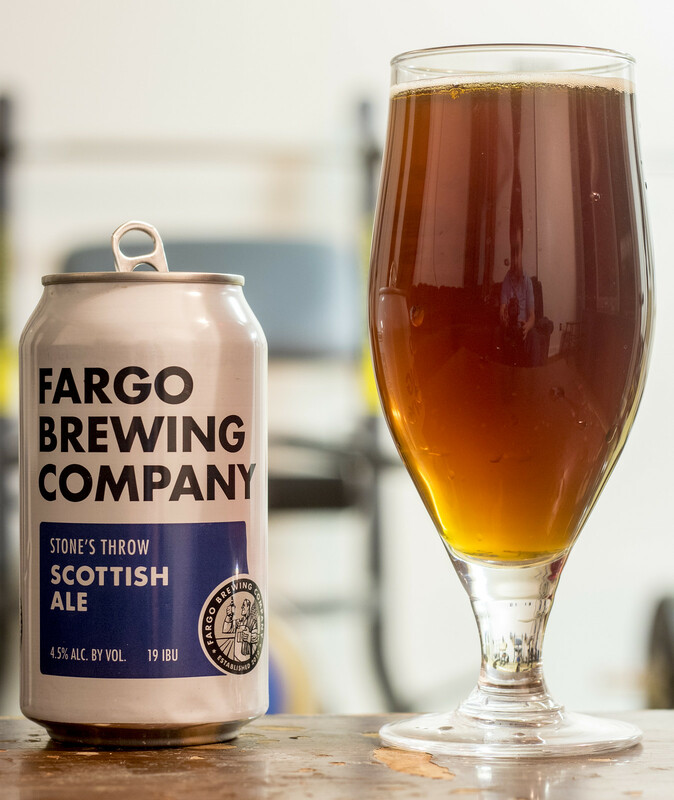 It's a tad nutty, a tad earthy but easy to drink, definitely a Scottish Ale. A tad boozey, but incredibly earthy and sweet.